While riding a powerful cycle down the road, blowing by easily congested traffic areas with the wind rushing against you, motorcycle accidents can result in serious injuries. As a matter of fact, motorcyclists are about 26 times more likely to die in a crash than someone riding in a car and are about 5 times as likely to be injured. 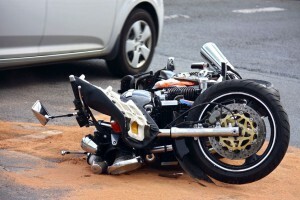 Motorcycle accidents can touch on a variety of law categories, including personal injury law and products liability law. Motor accident claims are governed by the legal concept of negligence. Under states with contributory negligence, motorcycle drivers may not be able to recover damages if they were partly responsible for the accident. In states with comparative negligence, damages may be proportional to the degree of fault on the driver’s behalf. Common comparative negligence examples include broken brake light and headlamp. Sometime, motorcycle accidents occur due to a defect in the design or faulty part. In these cases, the manufacturer may be deemed liable for damages. Other causes of motorcycle accidents include failure to give to right of way, obscured by other vehicles, road hazards like uneven pavement and potholes, left-turn collisions, DUI accidents and lack of basic motorcycle driving skills. Motorcycle operators are required to have insurance. However, it tends to differ than the insurance on an automobile. While your car insurance will pay for medical bills until the limit is reached, motorcycle insurance isn’t responsible for medical bills after a motorcycle accident. That responsibility lies with your own health insurance provider. You can seek repayment for the costs of medical expenses from the person responsible for the accident. It’s important to note that if you are awarded a settlement from your motorcycle accident, your health insurance company may implement subrogation of benefits and seek total repayment of medical costs from your settlement. A personal injury attorney can step in to ensure that they don’t take more than what they’re entitled to. Valuing the worth of a motorcycle accident case is dependent on liability and damages. 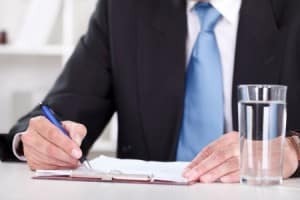 Special damages include past, present and future lost earnings and lost earning capacity along with employment benefits, medical expenses and other financial expenses. Damages for pain and suffering aren’t calculable and juries use good sense and background in determining pain and suffering. Plus, there are two types of valuations – settlement value and trial value. The settlement value is what you can reasonably expect. It’s often less than the trial value because you settle to risk the chance of losing at trial. If you’re involved in a motorcycle accident, it’s important to consult with an experienced attorney to determine whether or not you have a legal claim for damages. An experienced motorcycle attorney will assess your case and consider all the facts, such as traffic laws, motor vehicle regulations, medical treatment, injuries and liability. Without legal representation, you may lose out on monies that you deserve. Plus, insurance companies have insurance adjusters and aggressive in-house counsel who will try to get you to settle for less. They may even deny your claim for damages. An attorney will fight on your behalf for justice. An experienced motorcycle attorney will send investigators to the accident scene, determine the cause of the accident, even the playing field with pushy insurance companies and deal with the hassle of all the paperwork. And personal injury attorneys charge on a contingency fee basis. That means you won’t have to pay any monies upfront. Personal injury attorneys take a percentage of the settlement. 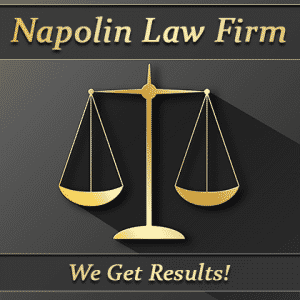 If you or a loved one has been injured in a motorcycle accident, turn to the Napolin Law Firm for legal assistance. They're a strong advocate to have in your corner. 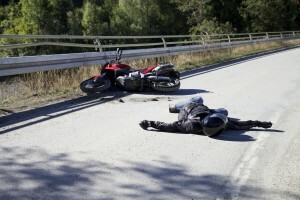 If you, a family member or friend have been involved in a motorcycle accident. Please contact our law offices. Call Now: (909) 325-6032 - We are available!